I watched helplessly as my little friend's health declined. He was sick, but the shelter is so understaffed, no one seemed to notice. Today, they took him away. I heard someone say something about a "Rainbow Bridge" Please don't let me meet the same fate. The longer we are in this shelter, the more we are vulnerable to contagious diseases. I don't want to die, too. Share me. Pledge for me. Give me the gift of life and love. 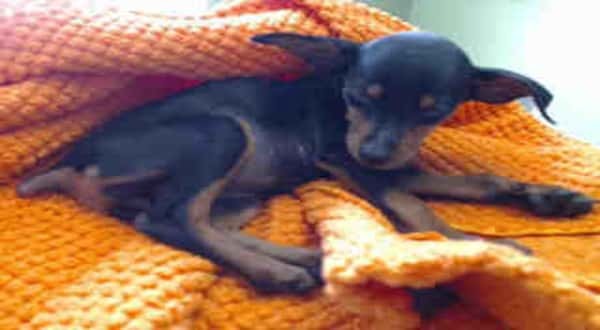 #A5168480 I'm an approximately 2 month old female Mini Pinscher. I am not yet spayed. I have been at the Carson Animal Care Center since 4/15. I will be available on 4/19. You can visit me at my temporary home at C403. INTERESTED IN FOSTERING? If you are in LA, OC, San Bernadino or Riverside County and would like to apply to foster a Carson dog, please call the shelter to complete the foster application. 0 Response to "I heard something about "Rainbow Bridge" Please don't let me meet the same fate. 2 months Mini looks so hopeless"